﻿ Wing Bed, Chiang Mai | FROM $31 - SAVE ON AGODA! Have a question for Wing Bed? 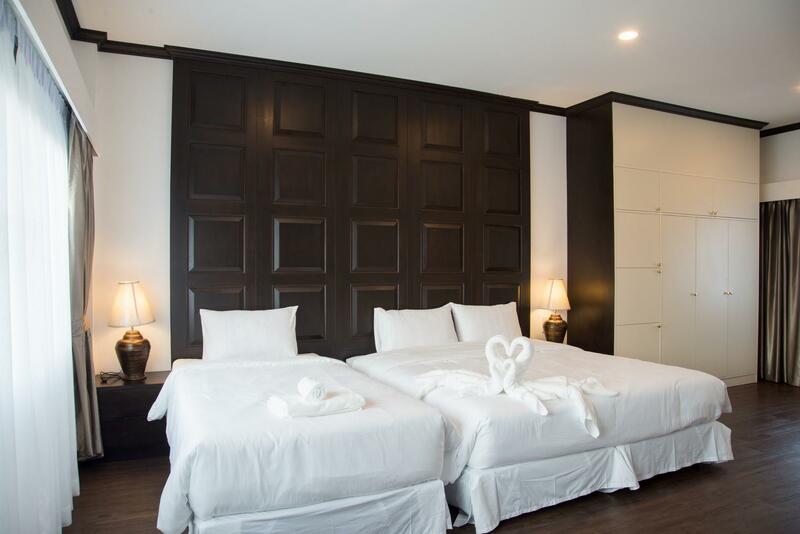 "Comfortable rooms, very clean, kind staff, modern building, great location close to the park and Wat Phra Singh temple." "I definitely recommend this hotel!" "Good for frills free stay." 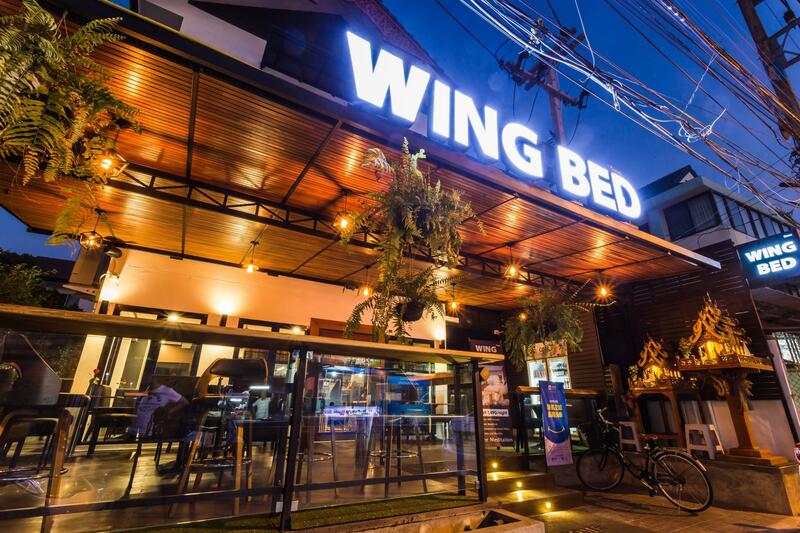 Nestled in an excellent location, the Wing Bed allows you to easily enjoy all that Chiang Mai and its surroundings have to offer. The property is near Muennguenkong Temple, Phajao Mengrai Temple, The Yoga Studio, Wat Phra Chao Mengrai Temple, and Thai Dessert. 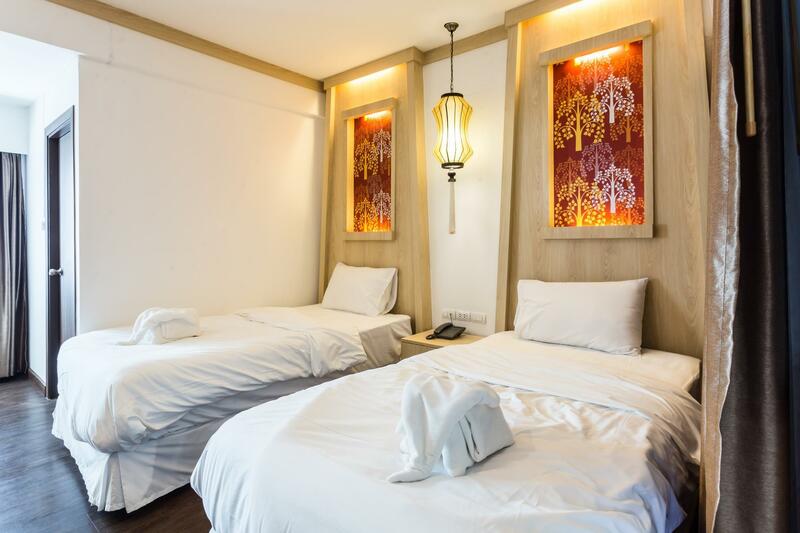 It is equipped with air conditioning for a comfortable stay. The Wing Bed offers city views from its rooms, so you can gaze out at the lively city roads. It has various convenient features, such as a laundromat, a salon, a chapel, a library, and a smoking area. The Wing Bed provides an assortment of transport options, such as airport transfers, taxi services, bicycle rentals, car rentals, and shuttle services. This property features restaurants on-site and vending machines, so there is a range of dining and snacking choices. With Thai, American, and Asian restaurants nearby, you can choose your favorite type of cuisine. Some of the nearby restaurants are Little Hut, Its Good Kitchen, and Teng Nueng. Offering guided tours, the Wing Bed is a great spot to stay to learn about the area. 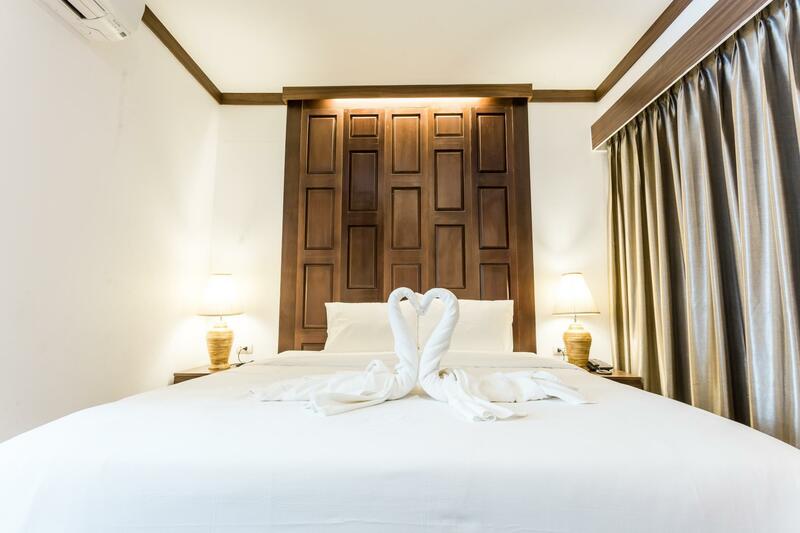 This property provides a range of useful services, which include laundry services, a concierge, daily housekeeping, luggage storage, as well as dry cleaning services. The Wing Bed has free Wi-Fi in all rooms, as well as Wi-Fi in common areas, so you can stay connected to your loved ones without splashing out on data and roaming costs. The property has express and 24-hour check in and check out, enabling you to conveniently choose the service that best suits your schedule. It has an around-the-clock front desk, so there is always someone on call to assist you with any queries. Equipped with family rooms, the Wing Bed has ample space for your whole family to be together. The nearest airports are Chiang Mai International Airport (CNX) and Lampang Airport (LPT), which are situated 2.4 km and 79 km away. Chiang Mai Railway Station is 3.7 km away. 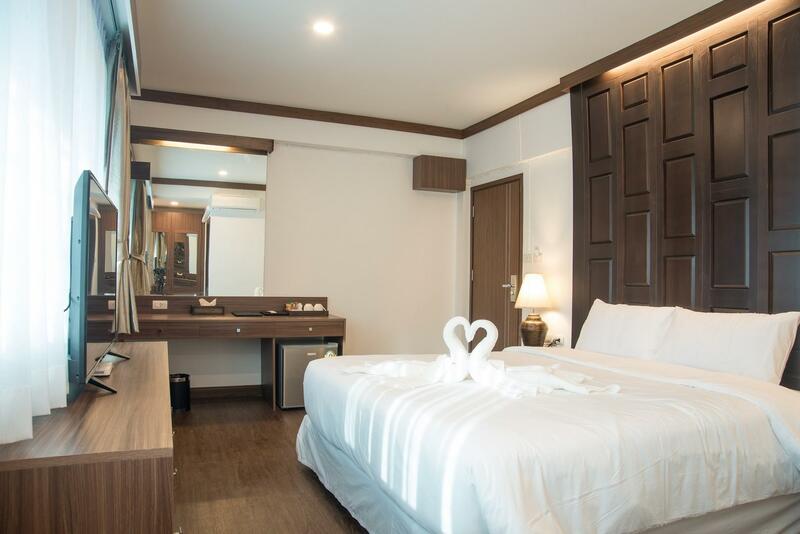 Comfortable rooms, very clean, kind staff, modern building, great location close to the park and Wat Phra Singh temple. I definitely recommend this hotel! Thank you very much for choosing us to stay in Chiang Mai and share travel experiences. We appreciate that we are part of your trip. Our little hotel will wait for you to come back here again. Enjoyed my stay here. Rooms were clean and spacious. Loved the bathroom! 7-11 is just a stone's throw away. There's also a laundry service just beside. Free WiFi allowed me to book Grab rides easily. Room was slightly cramped and could just fit our 2 cabin size luggage. Staff were friendly on the most part although a female staff appeared frustrated when we were confused about the breakfast ordering system. Good for frills free stay. Thank you very much to choosing us for staying in Chiang Mai and share about trip experience. We appreciate we are the part of your trip. We have received your request and we continue to improve. Excuse us in your embarrassment. Our little hotel will wait you come back here again. The hotel room was very nice and clean. the staffs were nice and smile. we would come back to stay here again when we go back to Chiang mai. Thank you very much to choosing us for staying in Chiang Mai and share about trip experience. We appreciate we are the part of your trip. Our little hotel will wait you come back here again. I booked a family room. It is clean & spacious. The hotel is located in a quiet area but within walking distance to restaurants & bars. Hotel is clean, staff are helpful and give answer and suggestion to my question. They also introduce and teach me how to go to the night markets. We appreciate thank you to choosing us for staying in Chiang Mai. And give us about feedback comment. Our little hotel will wait you come back here again. Clean and huge room. Staff are helpful. The hotel is very clean, and the staff is very friendly. Highly recommended.! Please do inform or warn customers when there is a construction going on as it was noisy and inconvenient. When I checked in was already late night but there is some confusion between Agoda and the hotel. Agoda got one of our room through Booking.com so it slow down our check in process. But overall is just nice. Clean & comfortable room. But it's slightly away from Night markets. Perhaps it is newly open, not all songthaews are willing to take us there. Lo que más nos gustó fue el desayuno, era buffet y mucha variedad. También teníamos agua y café en la habitación. La limpieza estaba bien. El persona es super amable, nos ayudaron con todo y siempre eran muy atentos con una sonrisa en la cara. Lo que menos nos gustó fue que desafortunadamente tuvimos una familia de vecinos muy bulliciosos que se hospedaron en dos habitaciones contiguas al lado de la nuestra y no paraban de tocarse la puerta los unos con los otros y de hacer ruido fuera de la habitación. Pedimos a recepción que hiciera algo y los llamaron pero no sirvió de nada. Estos clientes eran unos impresentables, de verdad. El baño estaba bien pero en la ducha era difícil regular el agua caliente y el desagüe estaba tapado. La zona no es la mejor del centro de Chiang Mai. ho soggiornato con amici per 3 giorni, l'hotel è comodo per la sua ubicazione, la mia stanza matrimoniale piccola per due persone, la pecca è che non ha un ascensore per i piani superiori, però pulito con una buona colazione e il personale è molto gentile e disponibile.